Home » News » Craving something sweet? Try these amazing chocolate & almond cookies! Craving something sweet? Try these amazing chocolate & almond cookies! We all get the urge to bake something decadent and sweet. Like these Clean Chocolate & Almond Cookie recipe for instance. Get ready to gather your ingredients, dust off your mixing bowls and create this sweet recipe in just a few minutes. 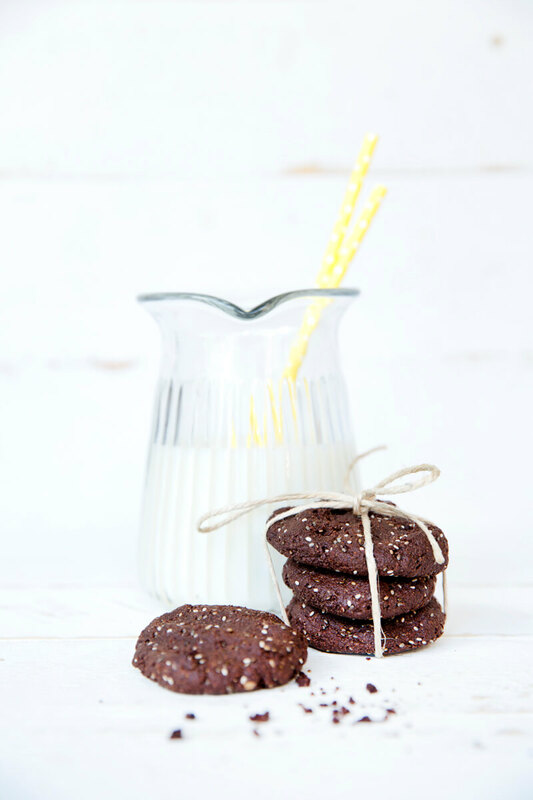 These cookies are the perfect 3pm snack idea for when those sugar cravings are calling your name and also make for a great lunchbox companion for the kiddies to take to school. 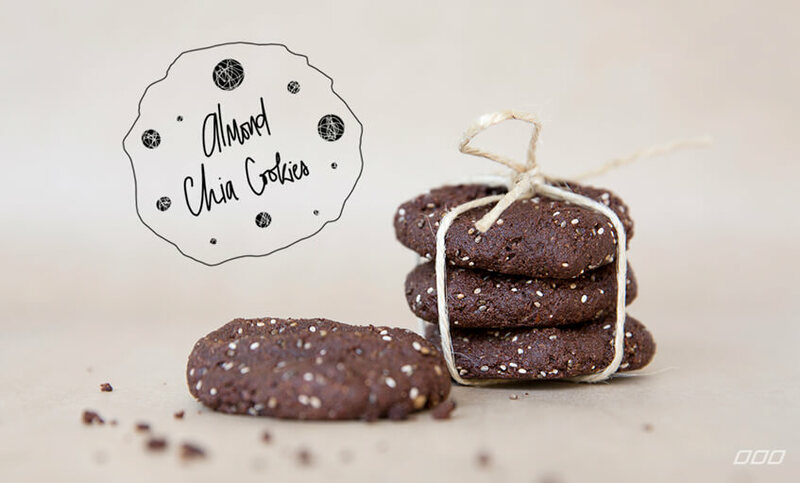 Combining some of our favourite nourishing faves such as cacao (a mood booster/antioxidant rich), chia seeds (omega 3s/ protein source) and coconut oil (good fat/ energy source), this cookie is a nutritional powerhouse… So go on, bake it! Add almond meal, cacao powder and chia seeds to a bowl and mix well. Add bi-carb to boiling water and stir until it froths up and immediately pour into the dry ingredients and mix well. Then, stir through both the maple syrup and coconut oil. Roll cookie mix into balls in your hands, and press onto a lined baking tray. Bake for approximately 15 mins. Tip: They will harden as they cool. So, there you have it! We hope this delicious little treat hits the spot!